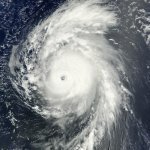 Bill began as a strong tropical wave near the Cape Verde Islands. 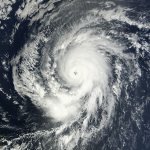 After a number of days of slowly becoming better organized, Bill was classified as the third tropical depression of the 2009 hurricane season on August 15. Methodically strengthening, Bill moved west northwest around the Bermuda - Azores high. This flow would take it to about 250-300 miles northeast of the Leewards where it reached its maximum strength of 135 mph. A strong trough of low pressure on the eastern seaboard steered Bill northward east of the U.S. coastline. Bill then passed near the coast of Nova Scotia and across Newfoundland as it gradually lost tropical characteristics. Not many people will remember hurricane Fred. 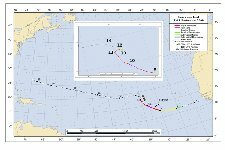 Fred has spent its time in the far eastern Atlantic. Other than some breezy weather and rain in the Cape Verde Islands, Fred has been unnoticed due to the fact of not affecting a populated area. Despite this fact Fred will find a way in the record books. Fred is only the third major hurricane observed east of 35° W since records began.....and the strongest southeast in the Atlantic. It is difficult to tell if there were others before the satellite era of the 1960's. Ida formed on November 4th from a disturbance in the monsoon trough to the east Costa Rica and Nicaragua. 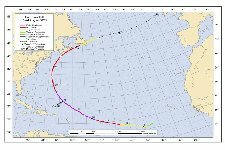 The disturbance quickly organized from a tropical depression into which was classified a minimal hurricane at landfall less than twenty four hours later. 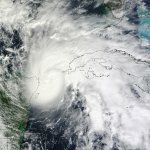 Landfall occured early on November 5th on the eastern coast of Nicaragua. At this point Ida slowed as it drifted just inland into eastern Nicaragua and extreme northeastern Honduras. Estimates of 10-20 inches of rain fell in this region. As with most tropical cyclones, it takes some time for regeneration after spending time over land. Ida slowly strengthened and regained its strength to a minimal hurricane by the late envening of November the 7th. Thankfully, the Yucatan Peninsula and western Mexico only received minor effects of Ida as it passed through the Yucatan Channel. 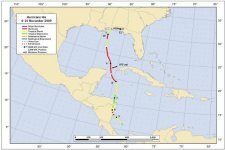 Offical National Hurricane Center estimates put the top sustained surface winds at 105 mph at its strongest in the southern Gulf of Mexico. As Ida moved northward, wind shear and cooler water robbbed energy from the system and it quickly degenerated. Landfall occured at Mobile Bay, Alabama on the 10th of November. Winds speeds only gusted to tropical storm force. As Ida moved inland, a large area of heavy rain developed over north Georgia and Alabama. Rainfall totals of 3-6" were common with isolated amounts to 8 inches. In a very interesting note, Ida's remnants drifted off to near the Mid-Atlantic coast where the worst effects of the system were seen. Winds gusted to near 70 mph on the coast of Virginia with beach erosion. Rainfall amounts of of 3-6" with locally 8"+ were widespread across the Mid-Atlantic from North Carolia to Maryland. Serious beach erosion occured in this same area.